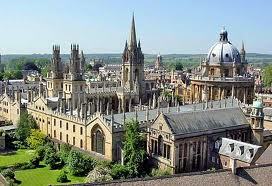 St Cross College invites applications for this scholarship from students who will begin studying at the University of Oxford in the academic year 2012-2013 for a postgraduate research degree in Music. Preference may be given to a research topic related to the musical collections at the University, including those at the Ashmolean Museum, those at the Pitt Rivers Museum, the Bate Collection in the Faculty of Music and those held in any of the colleges. The successful applicant may be based in the Faculty of Music or if working on other musical collections based in any relevant Faculty or Department including the Faculty of History and the School of Anthropology. Applicants must list St Cross College as their first choice college on their Graduate Admissions application in order to be eligible to apply for this scholarship. The Hélène La Rue Scholarship has the value of the annual College fee, currently £2426 per annum for 2012-2013, and is tenable for three years coterminous with college fee liability. Applications should be received by the application deadline of Friday 1st June 2012. The Scholarship is tenable at St Cross College only. Application forms can be downloaded from this site official website or requested by email using the Contact Form official website (choose the category Academic and Admissions). Written requests should be sent to the Admissions & Academic Secretary, St Cross College, St Giles, Oxford OX1 3LZ. Demikianlah informasi mengenai Hélène La Rue Scholarship in Music, University of Oxford, UK semoga berguna bagi anda.